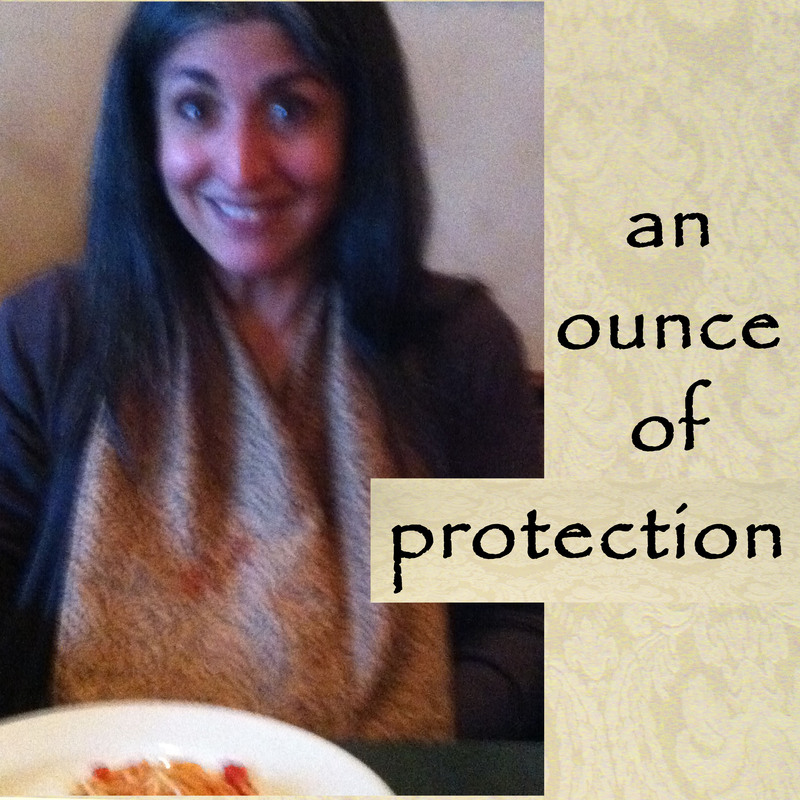 An Ounce of Protection …. In all our talk about caregiving, I thought it was worth revisiting this topic. Our products are designed not only to give an individual dignity while protecting their clothes from food spills, but it helps with caregiving by keeping clothes clean. Something we’ve heard time and time again from caregivers is that wearing a clothing protector to avoid food stains at meals means avoiding having to change clothes during the day. Not only does this save the clothes, but it saves time changing clothes, which can take more time than you’d expect when you are caring for someone who is compromised. You may argue that you’d wash the clothes anyway, but think of it this way. If you change your clothes twice a day (or three times a day) you double the amount of clothes to be washed. Who needs that extra work? If you use a Cravaat® dining scarf to keep your clothes clean in the first place then you’ll have less laundry, your clothes will last, and you look good in the process. 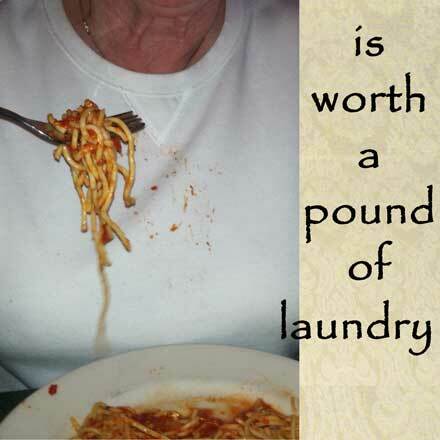 And think of the time you’ll save on when you don’t have to replace clothes that are ruined by stains. You might wonder, what about washing the Cravaat®? That’s a good question. The beauty of this dining scarf is multi-fold. Not only is the microfiber fabric stain resistant, it wipes clean while you’re dining. You won’t need to throw it in the wash every time you wear it. And when you do throw it in the wash, it goes through the washer and dryer and comes out ready to wear. It’s elegant and practical, discreet and dignified. There are a variety of Cravaat® dining scarf styles to fit varying needs. The standard Cravaat® is perfect for basic, simple spills. The Cravaat® II is great if you have trouble keeping your napkin on your lap. If your concerned about getting splatters, go wide with the Cravaat® Wide and the Cravaat® II Wide. And if you want the most insurance, get the Cravaat® X as in extra-large. It’s long and wide for the most coverage. Some people think scarves are only for women. Not so. Stylish men wear scarves. Just take a look at our About Us page to learn about the male origins of the Cravaat®. But if you have a man who just won’t see it your way, the Napkin at Your Neck® is a great option. It mimics a napkin tucked into your shirt, but with a strap to keep it in place. It’s long enough to cover your lap, and we have a Large version that is wider and a bit longer. Whatever style you choose, using some form of clothing protection is a great idea for all of us. Though I’ve never thought of myself as a spiller, I keep a Cravaat® handy for those times when I’m wearing something that is vulnerable to stains or eating something that has a propensity to cause stains. I’ve found that even if I don’t spill, I have peace of mind just knowing I’m protected. And as the person who does the laundry in this house, I’m starting to insist that Cravaats® be worn. In the end, it’s all about the dignity you are giving a loved one. Adults don’t want to wear bibs. They don’t want to wear stains either, especially if its a reminder of their challenges. This is the perfect time to give the gift of dignity, which just might be a bit of a gift for you. Have a Merry Christmas, a Happy Hanukkah, Happy Kawanza, or just a Happy Holiday in general. No matter your holiday, we hope this time of year brings you together with loved ones and brings you peace.